Friday afternoon, in between lots of house projects and driving Brian lots of places, that guy that I like so much and I climbed into his cute car, put the top down and drove to the beach for 30 minutes. Just 30. Long enough to grab a date shake at the shake shack, walk down the stairs and put our feet in the sand, walk back up the stairs and drive home. Friday night....grilled pizzas. 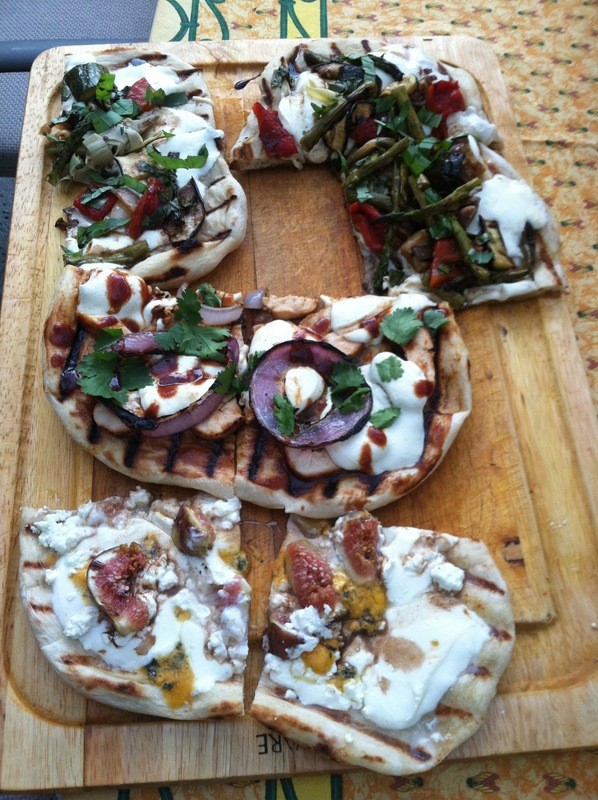 My favorite this time around (and the boys and their friends, too) was a bbq chicken pizza. Going to be making lots more of those this summer! Saturday morning pedicure with a girlfriend. Lots and lots and lots of girl talk happened because, well, that's what girls do. Saturday night was a party celebrating her son's engagement (who is the same age as my oldest...crazy!) which I went to solo while that guy that I like so much headed to the drum corps show with Matthew. I missed him...we don't divide and conquer for things like that often but we did this time around so that I could be at the party for longer than 10 minutes, but I did miss him. But had fun, too...his peeps have become my peeps, too. Sunday morning church. I slid into a pew with a crew of four males following me and felt instantly that this is where I was supposed to be, at that exact moment in time. We sat behind a young couple with their two very,very young sons and it was such a lovely reminder of where our life was not so long ago. The confession, the absolution, the Jarslov Vajda hymn, communion, a baptism...God gave us the most glorious worship experience all wrapped up in one service. I just kept looking down the row at my little, yet tall, family and was so emotional...so thankful. Sunday night, while my family begged for Sunday Gravy (think big pot of spaghetti sauce cooked slowly all day with lots of fun stuff in it...meatballs, sausage, pot roast, chicken, ribs), I kept it a bit simpler (because I did 10 loads of laundry and I am still. not. done!) 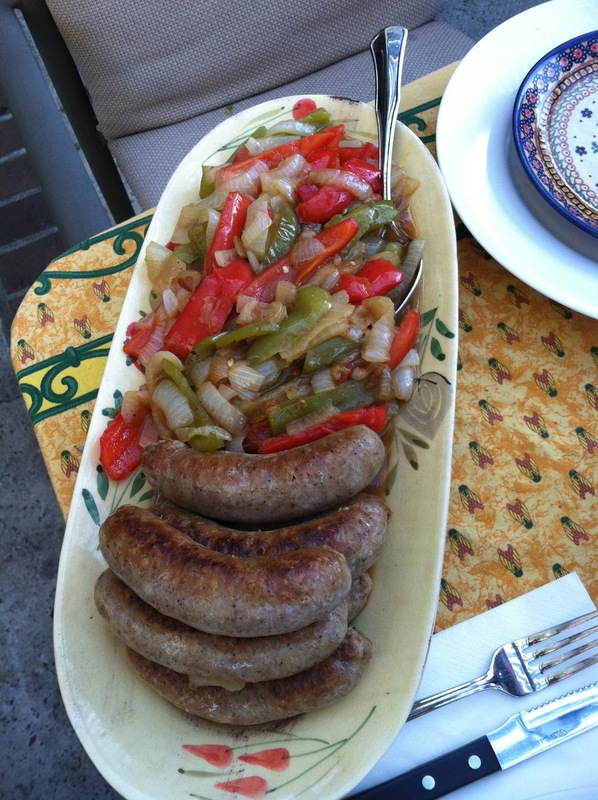 with sausage, peppers and onions. No one complained...but then again, my menfolk never complain as long as there is meat on the table. And that's my job...right? Make them happy?